The main difference between .NET and ASP.NET is that .NET is a software framework that allows developing, running and executing applications while ASP.NET is a web framework which is a part of .NET that allows building dynamic web applications. .NET framework target various platforms including mobile, embedded systems, operating systems and web browser plugins. Moreover, it provides interoperability with many programming languages, improves security, provides an automatic garbage collector, provides tools to develop, execute, deploy and many other services. On the other hand, ASP.NET is a part of .NET framework that is used to build dynamic websites, web applications, and web services. 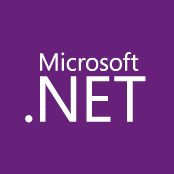 The major three components of .NET are as follows. Common Language Runtime (CLR) – This allows executing programs written in .NET framework. It also provides services such as security, exception handling, memory management, loading and executing programs. Framework Class Library (FCL) – This allows writing programs using .NET supporting programming languages. User and Program Interfaces – This provides tools to develop windows and desktop applications. Windows forms, Console applications, web services, and web forms are some examples. Overall, .NET framework provides multiple advantages. It allows simple and fast system development and is a platform that supports many languages with already built-in features. Moreover, it provides debugging support, versioning support and many more. 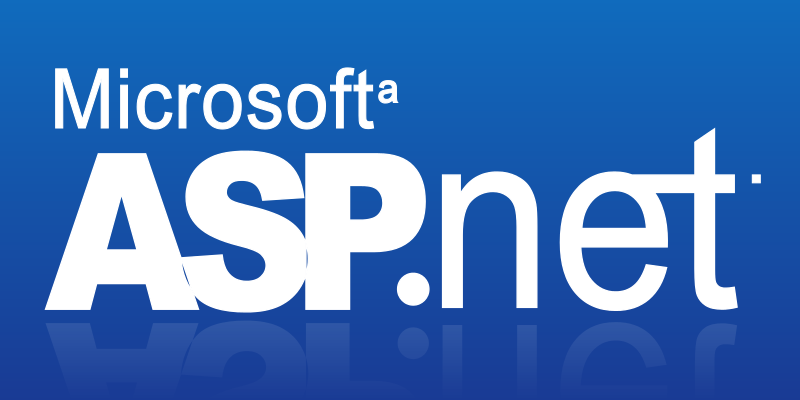 ASP.NET is an open-source, server-side, web application framework that allows programmers to build dynamic websites, web applications and web services. It also allows writing programs using any .NET supporting language. The latest ASP.NET technology is called ASP.NET Core. It is a new implementation of ASP.NET as a modular framework with other frameworks such as Entity framework. ASP.NET provides a number of programming models to develop applications. Some of them are as follows. NET is a part of .NET framework. .NET is a software framework that runs mainly on Microsoft Windows while ASP.NET is an open-source, server-side, web application framework designed to create dynamic web pages. Thus, this is the main difference between .NET and ASP.NET. 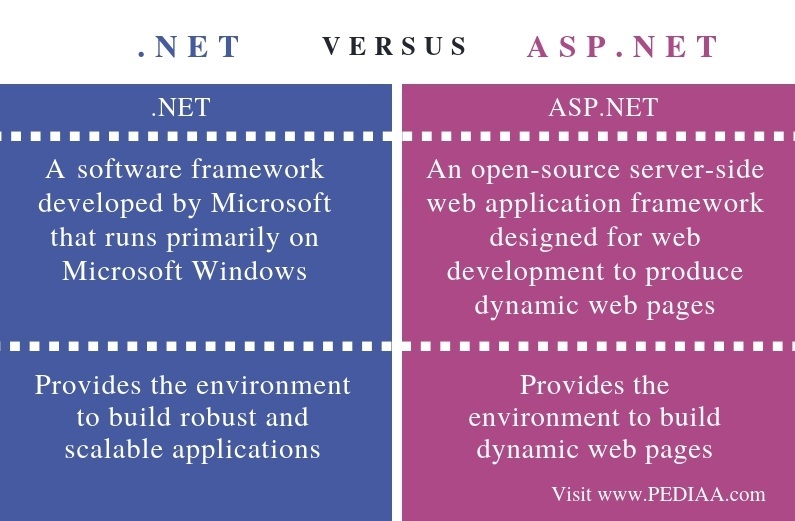 Another difference between .NET and ASP.NET is that .NET provides the environment to build robust and scalable applications while ASP.NET provides the environment to build dynamic web pages. 1. Balagurusamy, E. Programming in C#. 4th Edition ed., McGraw Hill Education (India) Private Limited, 2016. 2. “.NET Framework.” Wikipedia, Wikimedia Foundation, 26 Dec. 2018, Available here. 3. “ASP.NET.” Wikipedia, Wikimedia Foundation, 22 Dec. 2018, Available here.